This is the first of 2 part information gap activity that practices the present continous. Students have different pictures and must find the differences by asking and answering questions. Enjoy! This is the second of 2 part information gap activity that practices the present continous. Students have different pictures and must find the differences by asking and answering questions. Enjoy! 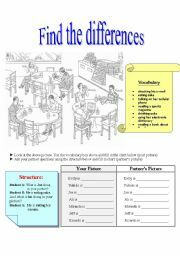 This communicative activity is a fun way to reinforce comparitives. 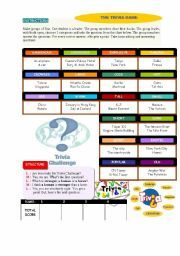 It is FULLY EDITABLE so you can adjust the questions according to your student�s level. 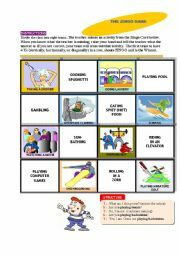 I�m sure your students will have fun with this activity. 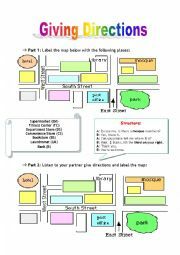 This is an easy speaking activity to practice giving directions. Students label their map and then ask his/her partner for directions. Information Gap activity. Student B fills in the activity in the shaded area. Student A asks B questions and fills in the answer. 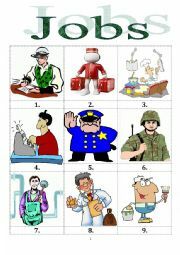 This is a complete worksheet on jobs that include matching, speaking and a writing exercise. I hope you find it useful in your classroom. A very interesting video about an airline exclusively for pets. Have your students watch the short video (url included)then have them answer the questions. Then the students can give their opinions. 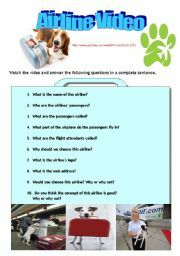 This is a perfect addition to lessons on animals, pets or a filler at the end of a lesson. 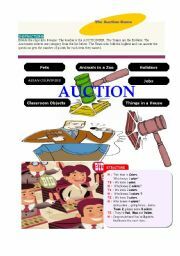 This is a fun activity where you can review vocabualary or grammar points. It is FULLY EDITABLE and very flexible. 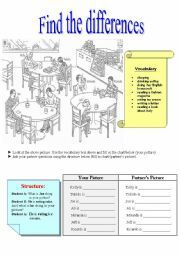 It�s a lively way to practice vocabulary or grammar. Enjoy! Zingo is Bingo with a Z instead of a B. This is a variation of Bingo. 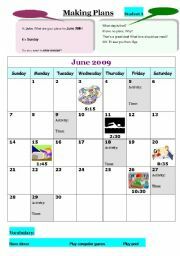 It is a fun way for students to practice the present continuous. I hope you enjoy it. 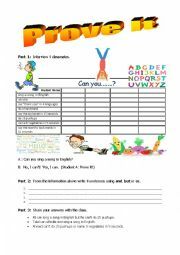 A fun way to practice can and can�t. I did it with my college students and they really enjoyed it.